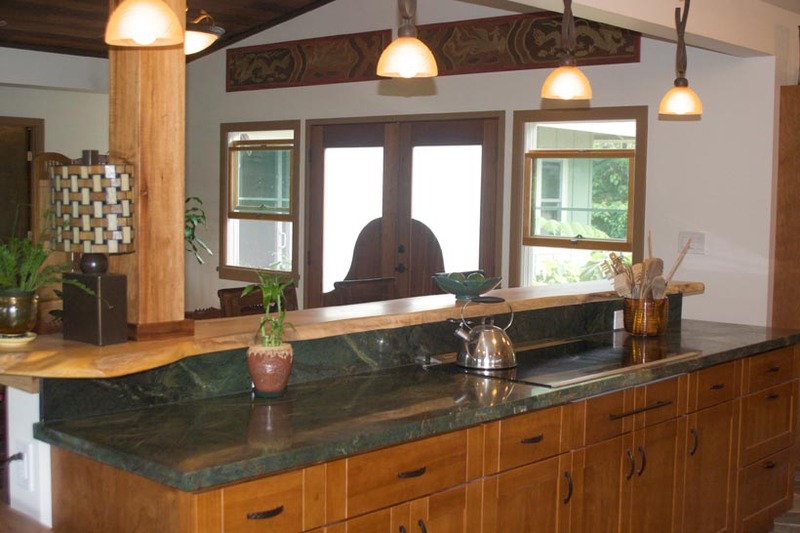 One of the oldest homes built in Kane‘ohe Bay, this green new construction "restoration" focuses on recreating a more functional and organic home without fully reinventing the layout. By fully deconstructing the original home a large supply of reclaimable sustainable materials were available for use throughout the new construction as building materials, trims and accents. Keeping with the sustainable theme, the owners chose to use local woods and stone to outfit the house, which also compliments the contemporary feel of this seaside retreat. 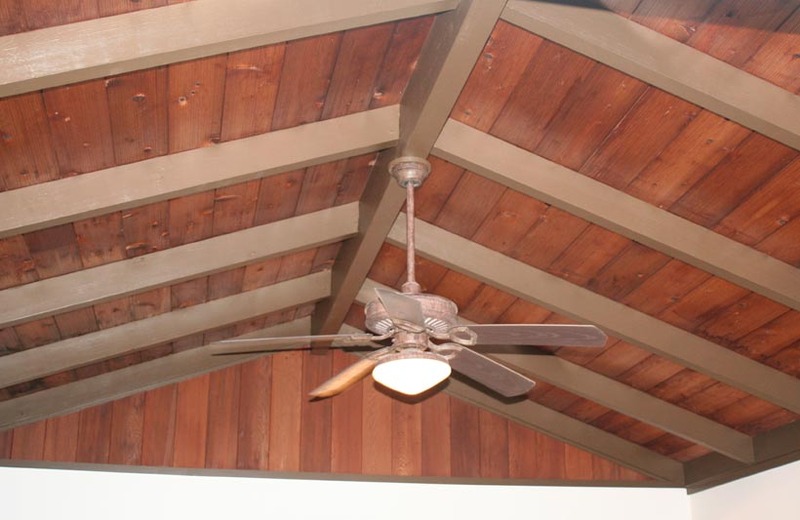 This home features Cumuru wood and slate floors; custom crafted cabinetry, granite countertops, Koa columns, energy star appliances, redwood tongue and groove wainscot and open beam vaulted ceilings.